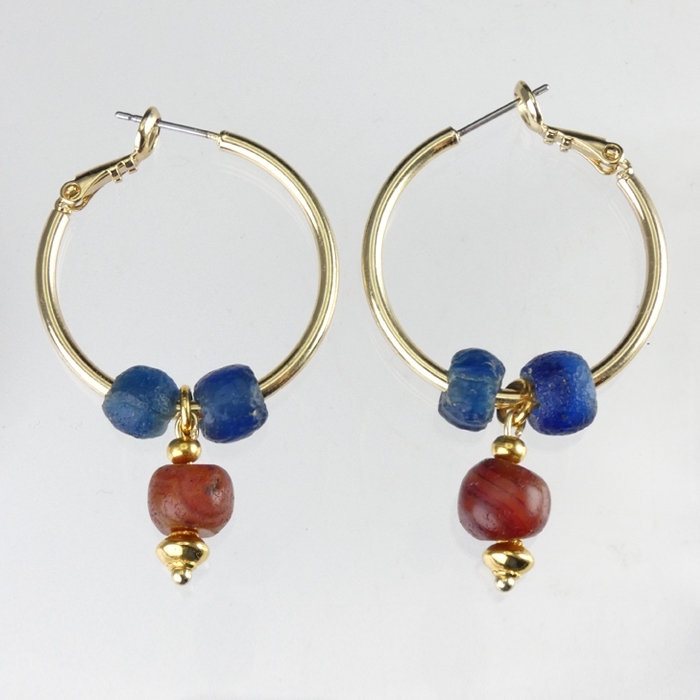 Earrings with Roman blue glass beads and decorative carnelian drops. 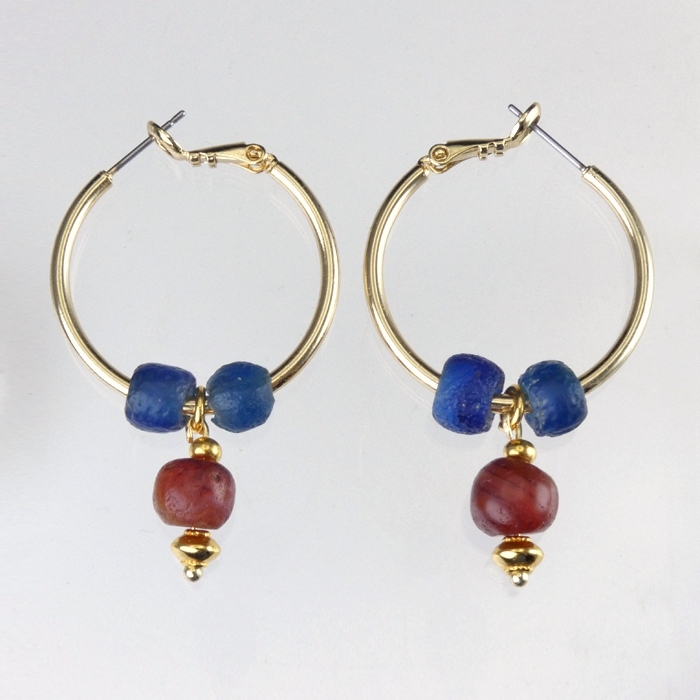 The authentic Roman beads are strung on hoops in a classical Roman style and wearable. Browse our large selection to discover matching pieces or other classic or contemporary designs.